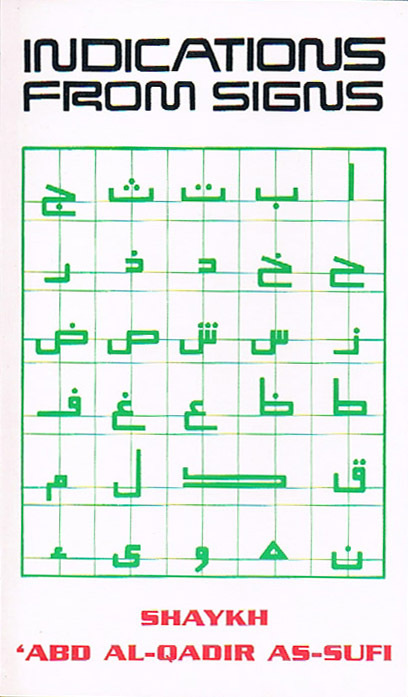 The tafsīr of al-Qurṭubī is perhaps one of the most compendious of them all and is certainly among the most famous. As its title, al-Jāmi‘ li Aḥkām al-Qur’ān – The General Judgments of the Qur’an, suggests, its main focus is on the rulings and judgments to be found in the Qur’ān. However, in the course of doing that, al-Qurṭubī examines all the relevant sciences necessary, such as the ḥadīth pertaining to the āyahs, events in the sīrah, what the Companions, their Followers and other noted people of knowledge said about the āyahs, essential aspects of Arabic etymology, syntax and usage, copiously illustrated by examples, and much more. 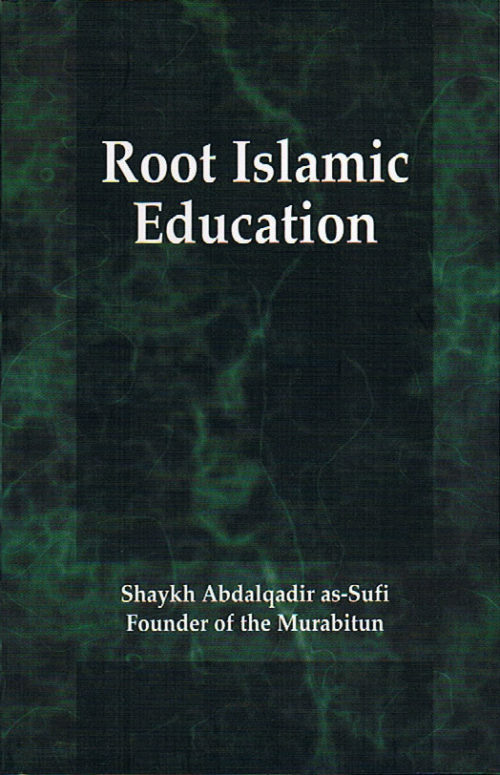 In this introduction, the author lays out some of the key themes of the Qur’an: Its virtues and the reciter’s; how to recite it; cautioning against showing off; what the one who knows the Qur’an must do and not neglect to do; learning its syntax; the excellence of tafsīr; the excellence of the bearer of the Qur’an; the respect and esteem mandatory for the Qur’an; threats against engaging in tafsīr by means of opinion (ra’y); the Book being explained by the Sunnah; how to learn and understand the Book of Allah and the Sunnah of His Prophet s; that it used to be easier to act by it than to memorise it; the words of the Prophet s; “The Qur’an was revealed in seven aḥruf (dialects/modes)”; the seven readings; the collection of the Qur’an; the memorisation of the Qur’an by the Companions at the time of the Prophet s; the order of the sūrahs and āyahs of the Qur’an; the meaning of the words sūrah, āyah, kalimah (word) and ḥarf (letter); non-Arabic words in the Qur’an; the inimitability of the Qur’an; hadiths forged about the excellence of the sūrahs of the Qur’an; refutation of those who attack the Qur’an; the Seeking Refuge with Allah from Shayṭān and the Basmalah. 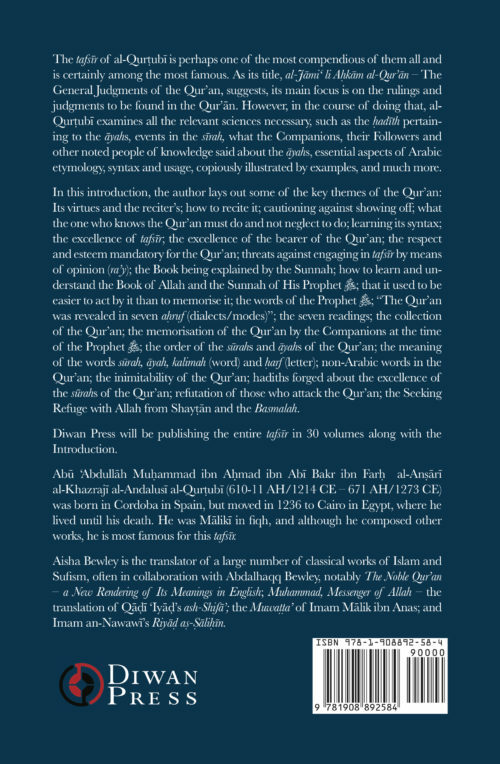 Diwan Press will be publishing the entire tafsīr in 30 volumes along with the Introduction. 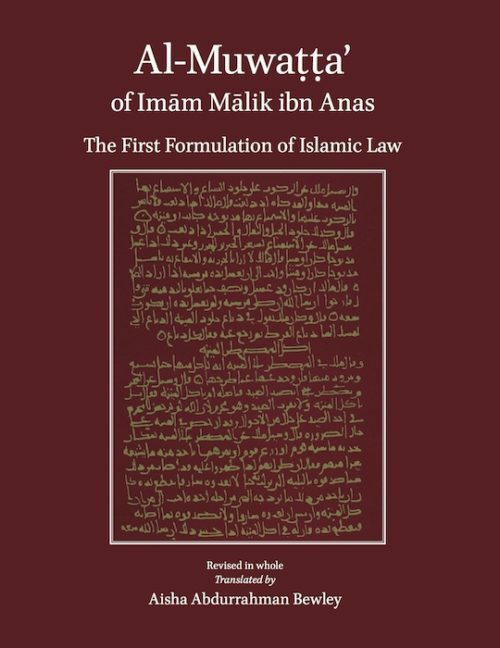 Abū ‘Abdullāh Muḥammad ibn Aḥmad ibn Abī Bakr ibn Farḥ al-Anṣārī al-Khazrajī al-Andalusī Al-Qurṭubī (610-11 AH/1214 CE – 671 AH/1273 CE) was born in Cordoba in Spain, but moved in 1236 to Cairo in Egypt, where he lived until his death. 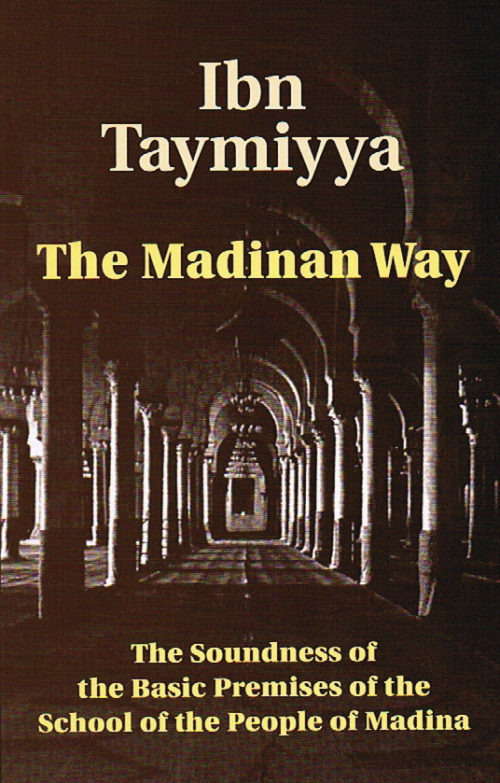 He was Mālikī in fiqh, and although he composed other works, he is most famous for this tafsīr. 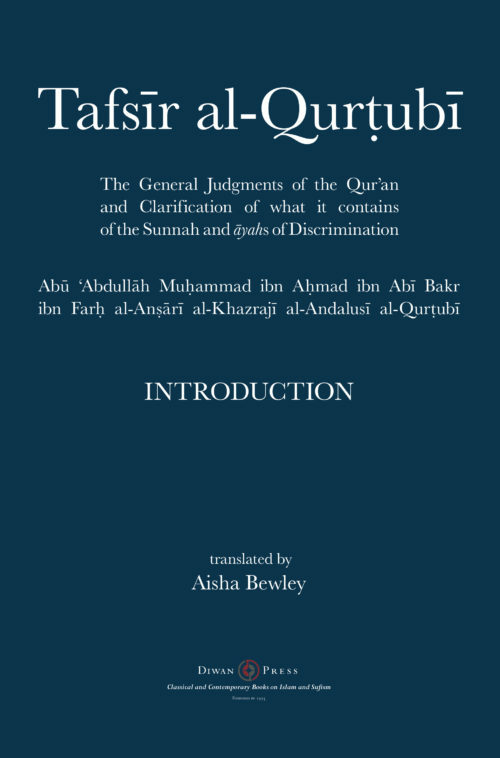 Aisha Bewley is the translator of a large number of classical works of Islam and Sufism, often in collaboration with Abdalhaqq Bewley, notably The Noble Qur’an – a New Rendering of Its Meanings in English; Muhammad, Messenger of Allah – the translation of Qāḍī ‘Iyāḍ’s ash-Shifā’; the Muwaṭṭa’ of Imam Mālik ibn Anas; and Imam an-Nawawī’s Riyāḍ aṣ-Ṣāliḥīn.